Within our team of highly specialist therapists we support people with brain injury and the communication difficulties experienced as a result of this. This includes use of technology to support communication and access to the environment, social communication difficulties and emotional regulation. Alongside this, other diagnoses that we treat include motor speech disorders, language impairment and dysphagia. We are leading experts within the field of AAC (Augmentative and Alternative and AT (Assistive Technology). Our role within the AT field primarily surrounds communication, computer access and environmental control (usually from a voice output communication aid – VOCA). We are expert in systems with specialist access such as using eye gaze and switches as well as how to organise the language on VOCAs. We can provide accessible and innovative ways to enable our client’s access to communication and their everyday needs that other people may take for granted e.g. accessing social media, taking photographs or changing the channels on the TV. Our assistive technology support and speech and language therapists bring with them a wealth of experience and expertise within the field. Technology is a rapidly expanding area and our team can assist in providing and setting up both mainstream and specialist technologies into different environments for the individual’s that we work with. We also provide an AAC mentor service which is unique to ATtherapy. Our AAC mentors are young adults who use communication aids. 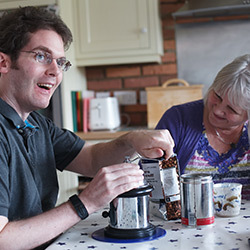 Our mentors work with the person with the brain injury and their families to inspire people to use the systems effectively and to help problem solve any difficulties that they may have also experienced in their use of AAC. 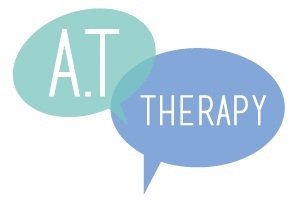 In summary, ATtherapy provide expert, innovative services to promote and improve effective communication following brain injury. Our large and growing team ensures a quality service is always provided to our clients and their families. We would be happy to speak with you to discuss how we could work to improve communication within your team or family.